All La Petite Academy preschools throughout New Mexico have achieved accreditation through the National Association for the Education of Young Children (NAEYC). The schools are among a select group of early childhood education centers nationwide distinguished by their quality, commitment to young children and dedication to excellence. 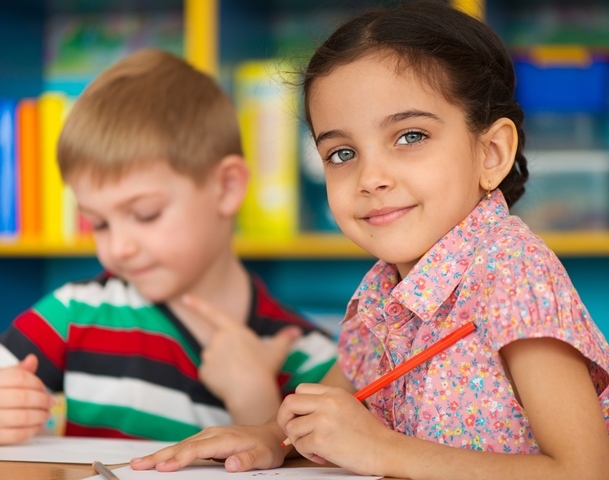 Parents seeking early education and care for their young children can use national accreditation as a means of locating the highest quality programs. NAEYC is a nationally recognized accreditation reserved for exceptional early childhood programs that substantially exceed minimum state licensing requirements. Accreditation is a comprehensive process that begins with self-study and program improvement involving administrators, teachers and families. All areas of a school’s program are assessed by independent early childhood education professionals, including: developmental programming, outdoor/indoor environments, health and safety, staff development, working environment, family support and community partnerships. The criteria by which programs are measured are research-based to show improved outcomes for children. “At La Petite Academy, our program is designed to help every child develop the academic and social skills needed for a smooth transition to elementary school and future academic success,” said Danielle Alexander, Region Manager at La Petite Academy. “This national accreditation recognizes the superb educational program we offer and the hard-working, caring teachers that work here,” she said. At La Petite Academy, a proprietary School Readiness Pathway provides a cohesive framework to address children’s needs according to their age and individual pace of development, focusing on key academic and social development milestones, starting in infancy. La Petite Academy teachers use a specialized data-based digital process to tailor the learning experience to meet the individual needs of 3- and 4-year-old students. The process builds skills in 10 developmental areas – from literacy to math, nature and science, social and emotional development, logic and reasoning and more. According to a recent study of more than 6,500 children around the country, this personalized approach to curricular planning has led to three times growth in kindergarten readiness among 4-year-olds in one school year. The results for this research, conducted from fall 2015 to spring 2016 at La Petite Academy and its sister schools within Learning Care Group, are consistent with the study’s findings for the prior school year. This exclusive program is giving parents confidence that comes from knowing that their child is meeting learning objectives –and that there’s data to prove it. New this year, La Petite Academy’s Early Innovators curriculum inspired by STEM – science, technology, engineering and math – is helping children in the Preschool and Pre-K program further develop their skills as natural-born engineers and scientists.